Long Island Events, Queens events and NYC Events are a great way for you to meet some new people. No matter what your search may be, our events are held in a laid back, casual environment, so you'll feel more comfortable just being yourself. We offer several types of events such as Concerts, Baseball Games, Comedy, fitness, scavenger hunts museums, the Zoo, Broadway shows and more. These events are not about dating, but about making new friends and enjoying an activity together. They are NOT based on age or gender balance but focus on the shared interest activity. You will have up to 15 mini speed dates during the night, each one lasting about 4-5 minutes. After each date, you will circle yes or no on your scorecard as to whether or not you would be interested in corresponding with that person further. At the end of the evening you will turn in your scorecard for us to tally. The next morning you will receive an email letting you know who you matched with. 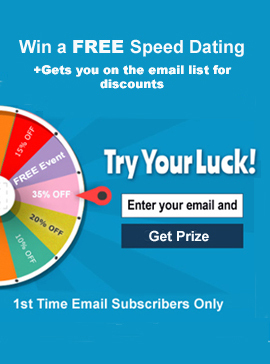 The email will provide you with the person's first name and email address and they will get your first name and email address. We even let you know the one way matches (they picked you, but you didn't pick them), just in case you change your mind. Thus far 70-80% of the participants leave the event with at least one match (meaning that you picked a person and they picked you too). As one participant said "This is great! I could have stared at a guy all night in a bar, and never have spoken to him. This forces you to be social." Not a lesbian event. This fantastic event is set up for ladies who are looking to make new friends as activity partners. Please watch the CNN video for more details. (May take a few minutes to load). Contact us now at (516) 908-9638 or (718) 757-6933 with any questions. 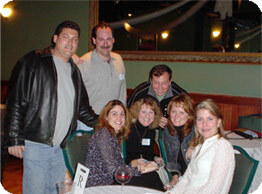 Some of our events are for Long Island Singles, Queens Singles and New York City Singles. Some have nothing to do with dating and are all about making new friends.